and mental ill health - We want to stamp-out the stigma associated with this. We use music and creative arts as a platform to raise awareness of the issues surrounding mental health. 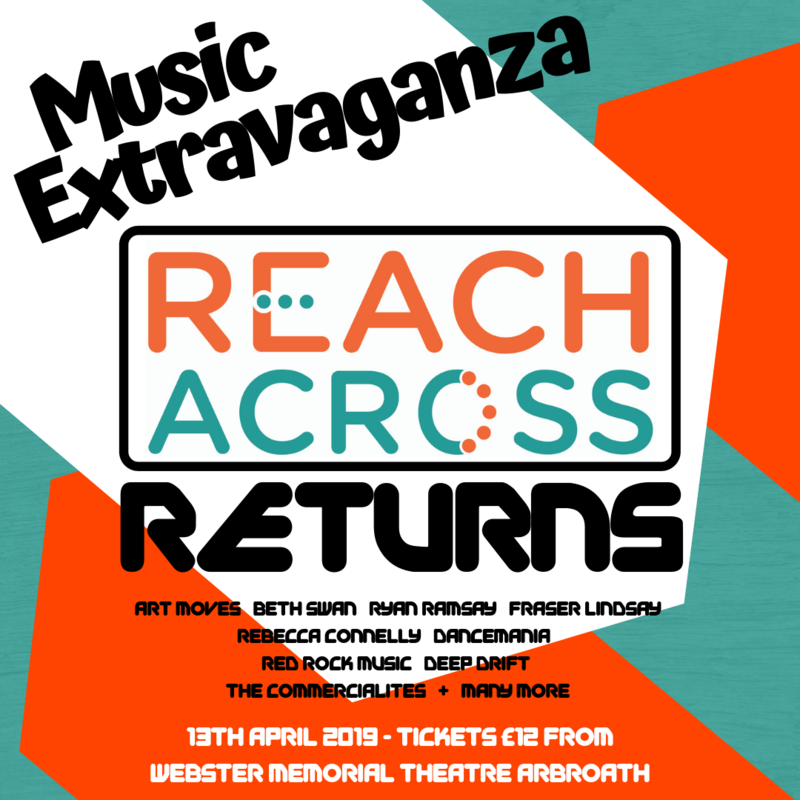 'Reach Across Returns' is a Music Extravaganza, showcasing a variety of musical talent in the Angus area. Following on from our two highly successful previous events at the lovely Webster Memorial Theatre, we are excited to return for a third time to bring you a massive helping of incredible talent.